I’ve never been one of those types that dutifully reads the manual. It’s a habit that has generally served me well. It has unfortunately prevented me from using about 90% of the camera I invested a lot of money in. This week I’m giving the camera manual another chance. I’ve started learning what the random buttons and symbols mean and as a result what I can do with them. 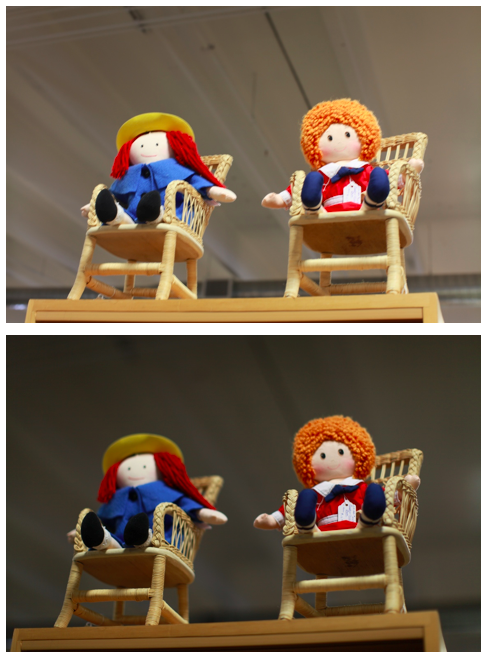 Today I was fooling around with something called “creative auto” on my camera, which is the equivalent to taking baby steps towards using your camera manually (and a great “What About Bob?” reference). “Creative auto” is for people who want some control over the image but don’t want to learn the mechanics of exposure. For the image above I was playing around with the exposure range feature and liked the brighter exposure where it was more washed out looking, almost like a watercolor. 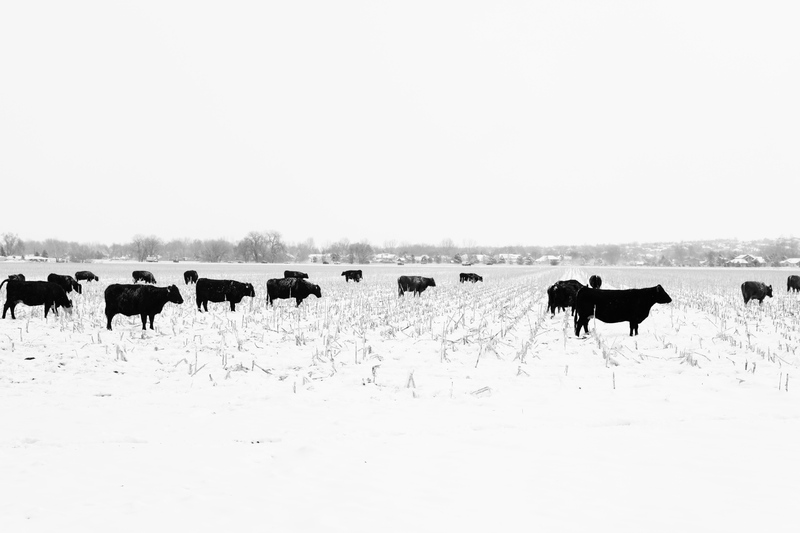 I also played around with taking a monochromatic shot (never knew how to do that on my camera!). I still couldn’t get the snow to come out as white as I wanted but I did make some new friends. 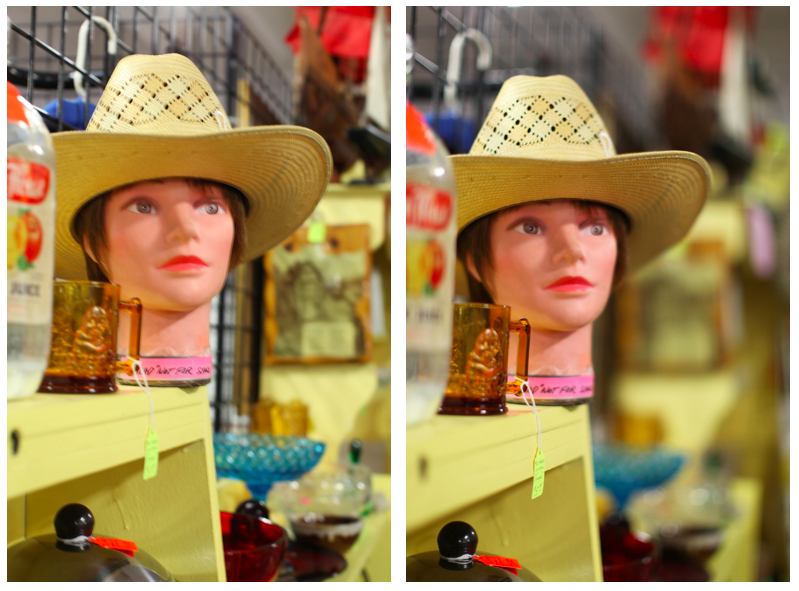 To practice a bit more with some of these features I went to the local flea market since there are always fun things to look at and to practice cutting through clutter. Here I was playing around with the background. Sadly this head was “NOT FOR SALE!” Who knows what her next assignment will be after she finds that cowboy hat an owner. Maybe she’ll be retired to a mantel above the fireplace. Taking photos makes you slow down and notice more, like she-head-torso below. That mannequin used to be somebody. Back in the 80s, she could stop window shoppers in their tracks selling leotards…before the accident. She wistfully still holds out hope to be reunited with her appendages in time for resort wear season. I couldn’t bring myself to tell her the fashion world has moved on from blondes (and her arms and legs are shoved in a mis-marked box in a basement in Albequerque). 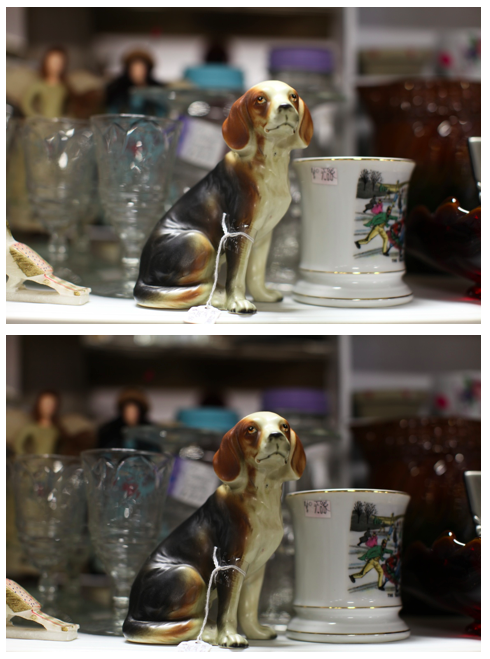 This sad little beagle also caught my eye. I played around with darkening the exposure a bit to take advantage of the light shining on him. It better suited the interrogation going through my mind. “Where did you come from?” “How did you get here?” “How could anyone look down at that adorably sad beagle expression and stick you in a box to be sold?” I’m glad it is at least a no-kill shelter. Below again I played with the background focus and darkened the exposure to focus in more on Raggedy Ann and Annie. It seems I caught them in the middle of something. I guess it would stand to reason they’d be close friends. Both are red headed, a little rough around the edges and started out poor before becoming famous. I think they were discussing Occupy Wall Street and their disdain for the 99% but I couldn’t be sure. 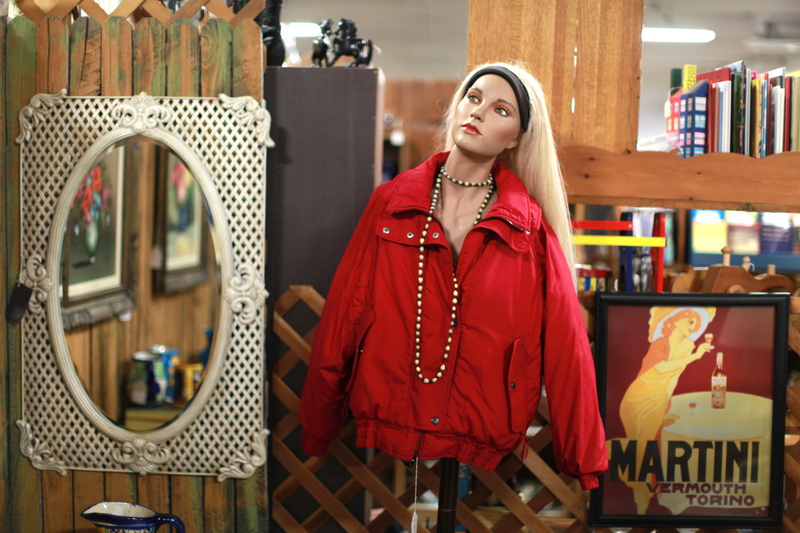 Taking photos at a flea market makes you hone in on the curiosities of people’s possessions. There is a reflection of the life of those who owned them as you walk from stall to stall; the travelers, the homemakers, the entertainers. I couldn’t shake the mortal thought that someday my own life might be reflected through my possessions in a stall somewhere where people could come and root around, deciding whether my possessions are of interest. I hope they take pictures and at least make up fun stories about what they find. I always shoot 1-2 fstops under exposed. I started using that trick in SF on advice of a friend and now its standard practice. You are currently reading Baby Steps at 52 To Do.